Posted on March 16, 2010 by Joe Sparrow. This entry was posted in Headline, Today's New Band and tagged chorus-mageddon, instruMENTAL, loop. Bookmark the permalink. Great blog Joe, GALLOPS are indeed awesome! Awesomely awesome in fact. 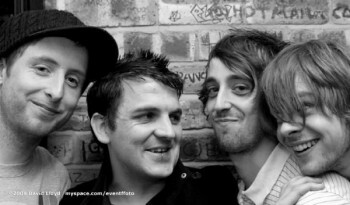 If keen to see them live readers, they’re headlining The Good Ship this very Thursday 18th March. Head to http://monstertruckpromotions.wordpress.com for all the info.